When bikes start to get an evangelistic following, our collective eyebrows raise with suspicion. Are these shout-it-from-the-rooftop types just drinking the Kool-Aid, or are they really on to something? In the case of the Ibis Ripley 29, probably a little of both. But heck, after taking an-other KOM they deserve drink! Though our capable group of test bikes produced many con-tenders, none could quite keep up with the Ripley’s throttling pace on fire roads and still claw its way like a rock crawler up techy steeps. Giant’s feathery Trance Advance 27.5 0 made a race of it, but in the end the Ripley 29 reached down into its stealthy bag of dw-link tricks and pulled out the win. See the rest of the award winners here. One sure fire way to tell if a bike is something special, even unique? Round up a group of test editors and ask them to put said bike into a proverbial box. If they can’t agree which category it belongs in, or even who the bike would best suit — as was the case with the Ibis Ripley during our recent awards debate — then you know this is no ordinary two-wheeled steed. We cant yet tell you what the outcome of that sometimes heated debate was; MTBr Enduro-Compare-O Awards will be announced next month. But it’s safe to say the Ripley, a bike that was six years in development, was worth the wait. Therein lies the allure of this category-bucking full carbon machine from California-based Ibis. It transcends traditional definitions of what a bike is or can be. The elevator pitch for the Ibis Ripley goes something like this: It’s a bike that has the rollover advantages of a 29-inch wheel, but is also lightweight, nimble and fun like a 26er. The key to making this happen? 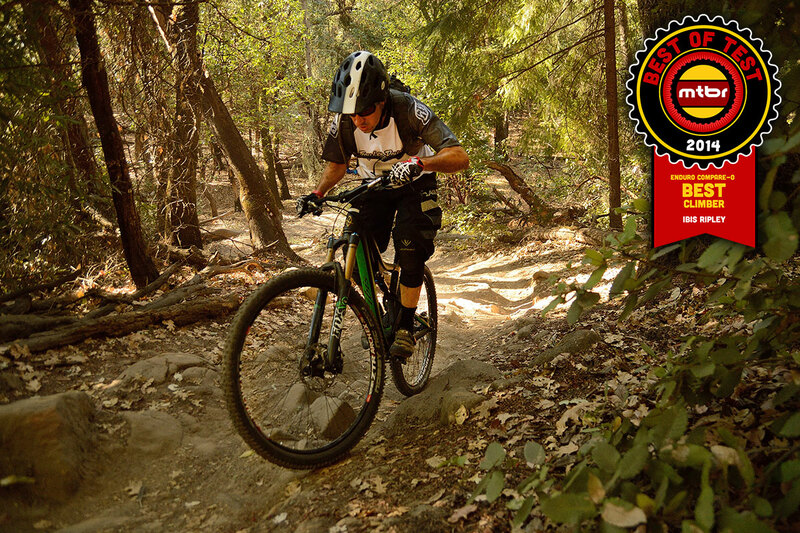 Ask suspension guru Dave Weagle to come up with a design that maximizes pedaling efficiency, is optimized for 29er specific gearing, and has the usual dw-link attributes — small bump compliance and predictable travel throughout the range. Oh, and while you’re at it, jam it all inside the frame so the bike looks cool and offers greater protection from the elements. This is all done with a pair of small eccentric pivots that rotate on BB30-style bearings. By keeping things light and compact, Ibis was able to stiffen the swing arm, shorten the chainstays (17.4 inches), and of course keep weight down. Our size Large tester with an upper-end build (MSRP: $5549) weighed 26.45 pounds. The design also allows for a direct mounted front derailleur (if you need one), and there’s space for a water bottle cage. The only caveat is that Ibis is adamant that the bike is spec’d with 51-millimeter offset forks (120mm or 140mm), which shortens the trail, keeping steering quick and precise. So what’s this all mean to you? Well, at least in the case of our test session, the design — and the bike — worked supremely well. The platform was stable enough that we never felt the need to mess with the Fox Float CTD shock. 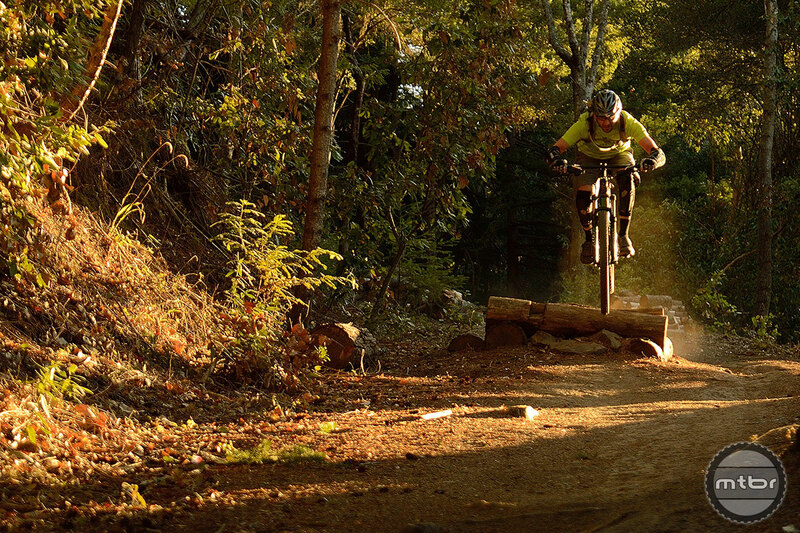 Indeed, when climbing — be it on fire roads or techy trail — the Ripley was simply outstanding. But this is not just a climbing machine. At the top of the hill the Ripley quickly converts to capable descender, especially in rolling terrain, when you still need to crank out a few watts to keep speeds high. In this mixed zone — where most of us spend most of our ride time — the Ripley shines, effortlessly toggling between fast and flicky, and powerful and efficient. Plus, the short chainstays make manual a snap. 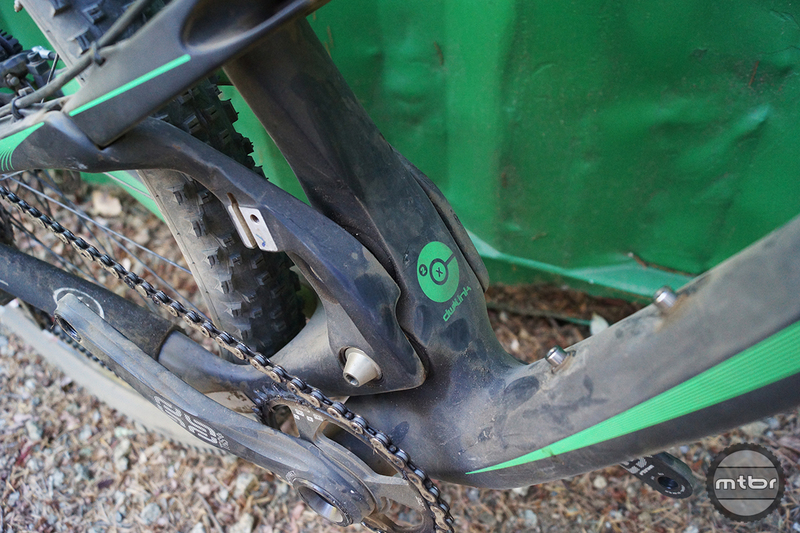 It’s also worth noting that Ibis has made some subtle on-the-fly material changes to the suspension. Originally the eccentric core parts were as lightweight as possible while still passing various in-house strength tests. But Ibis subsequently decided to add back about eight grams of strategically placed material to make the parts more tolerant, especially to over tightening. Effective last January, all Ripley frames are now shipped with a beefier lower eccentric core and new titanium bolt, which besides addressing the over-tightening issue, increases lateral stiffness by 10 percent claims Ibis. These updated parts can be retrofitted on older Ripley frames, and are available on the Ibis website for $35. We’ve all heard over and over about the limitations of 29-inch wheels, but the Ripley makes a strong counter argument to the sluggish wagon wheel line of reasoning. Despite a set of Stan’s ZTR Arch EX 29er wheels that several testers deemed too flexy for their tastes, this bike leaned and carved with grace and predictable ease, responding quickly to steering inputs. No you can’t…. Because Chris King at least to the best of my knowlege still won’t accommodate xx1 which is absolutely what this bike wants. Furthermore the beefed up light bicycle carbon rims are another must have. I have ridden 120 and 140 forks. I went 140 I had the fox and switched to the pike which is light years better and couples better with the 120mm rear because the fox mid stroke support is garbage. With the 140 front this is a bike I would take anywhere that I would pedal up. I never ride my hardtail and am selling my bigger hit bike. Hey Ian, these guys tried the 34 but I don’t think it was a Talas judging by their complaint of balance being thrown iff though it’s not clear. I just built this bike with a 140 Fox Float, the bike felt rock solid and perfect for rough all mountain terrain (Lakes Basin). What’s the real max rider height for the XL – when I was considering this bike the ETT was a very short 625mm, but indicated fit up to 6’6″ rider – does not jive. I never test ride one. 2.35 HRs wont fit. I run mine with 2.4 xkings an it doesnt rub. I also tun mine with 140mm 34 fork and have raced some gnarly enduro. Itll do the job pretty well. I want a little more travel for northeast enduro.. but the bike will handle just about anything you throw at it. It’s funny how Ibis bikes kind of stump a lot of the market. Ibis is not a marketing-centric company. They make great bikes that they would love to ride. Sure sometimes they respond to the demands of the market, but their bikes don’t fall into the nice marketing categories that the bigger brands prop up to move units. Anyway, the Ripley is a good example of that. Is it an XC bike? Sure. Enduro? Sure. The HDR is somewhat similar; it doesn’t fall into neatly defined categories. But all their bikes reward the rider in spades. And yes, the Ripley deserves a 34 or Pike. Wow….They spent 5 years designing this bike?!?!! I have the Ripley built with a 140mm Talas and Sram XX1. The bike can handle anything you throw at it. Super efficient climber and is bomber on rocky, technical DH’s. I would recommend carbon wheels to reduce flex in hard, fast corners. My previous bike was a Nomad. Didn’t think it was possible to have a better bike. The Ripley is better. This bike could win Downieville. I also own an Ibis Ripley and couldn’t be happier. My build is with the Pike Solo 140, Enve AM rims (Butcher 2.3’s F/GC 2.3’s rears), XX1, and have both a Pushed CTD and X-Fusion Microlite (Still haven’t picked a favorite). This bike is capable of anything I’m willing and able to throw at it. Bottom line… I purchases this bike believing it would be the best all around bike for my style of riding. Ibis has delivered! I’ve also been impressed with both Ibis’s customer service and product. Great job Ibis. How is the test bike’s build different from the standard XT build? Why is it $70 less? Correction — just realized the test bike has an X01 build. Still, there’s a $400+ discrepancy between the quoted price and what’s in the Ibis website.